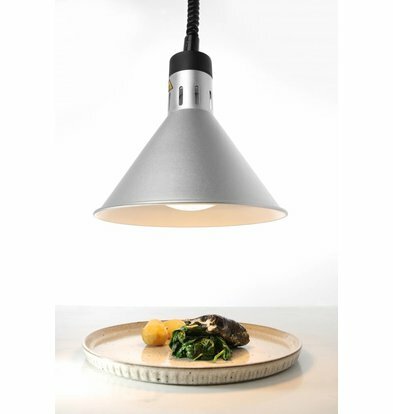 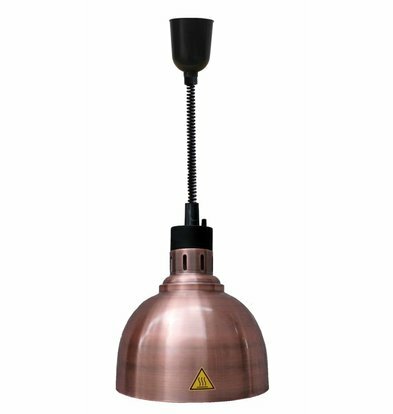 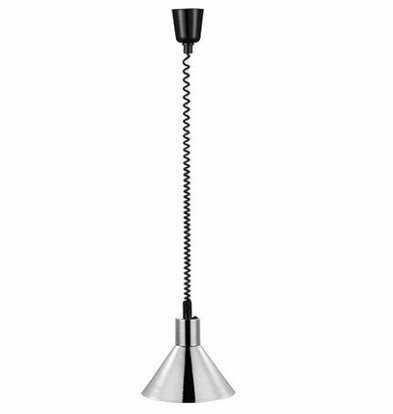 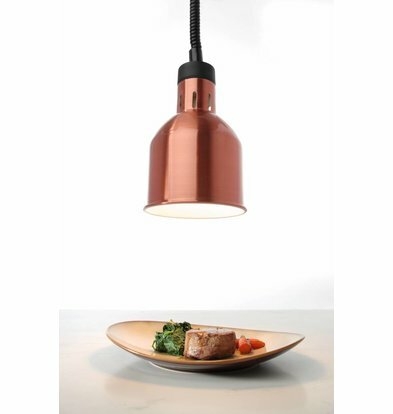 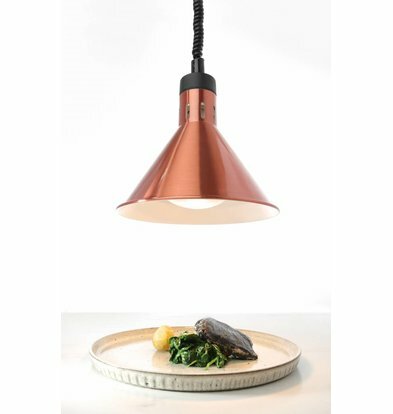 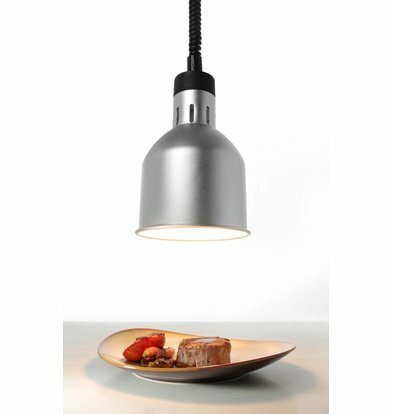 Warming lamps may in any modern kitchen and extensive catering missing. 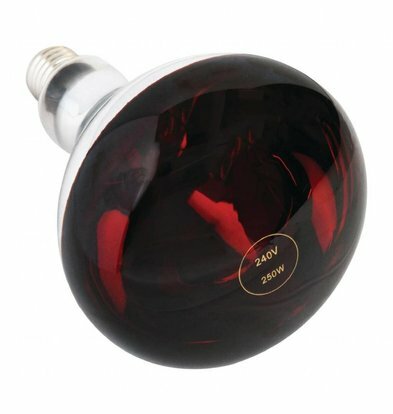 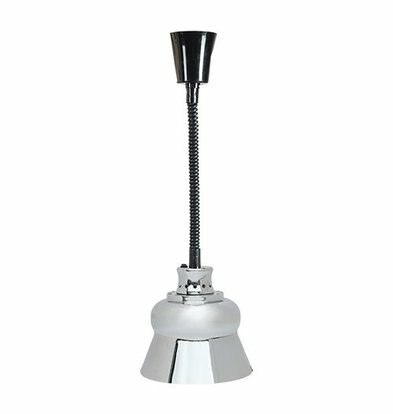 Therefore you will find in XXLhoreca convenient and energy efficient hot lamps in various stylish designs. 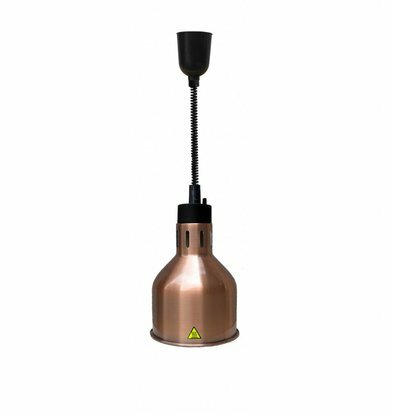 Conducted in strong aluminum or stainless steel housings and just connect it to the regular power supply. 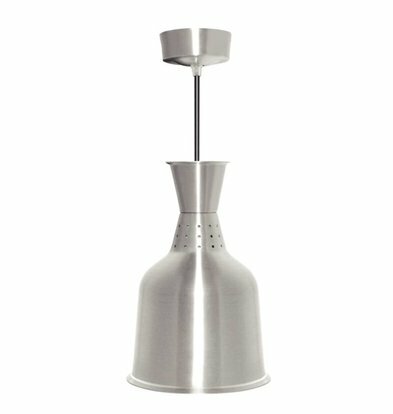 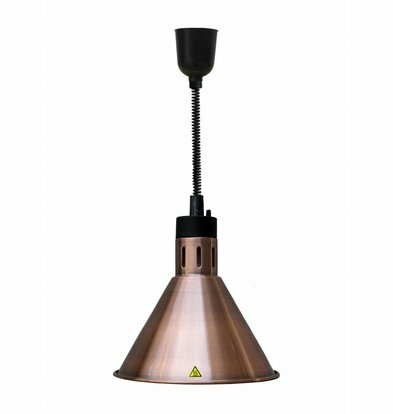 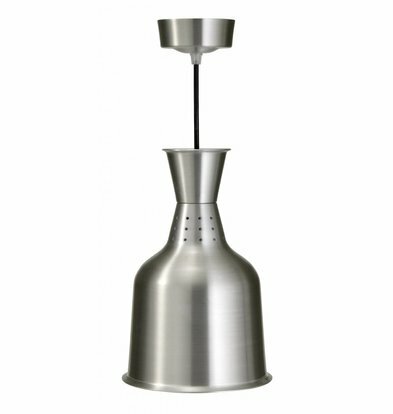 These lamps made of aluminum, copper, chromium or stainless steel radiate their heat from above evenly over the dishes cooked by you so that you can serve hot from these at any time. 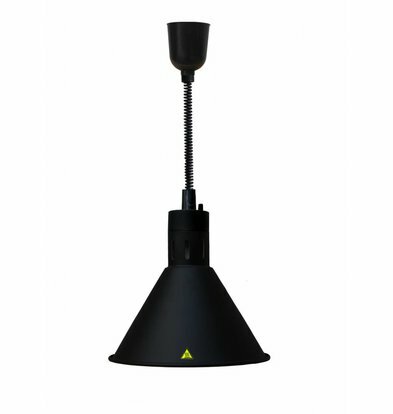 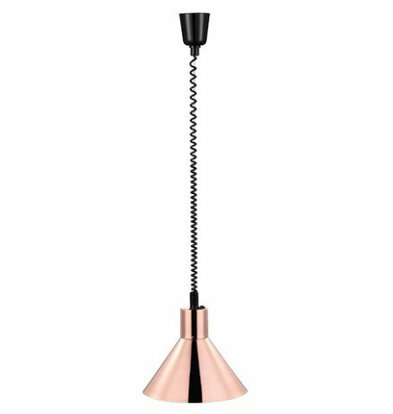 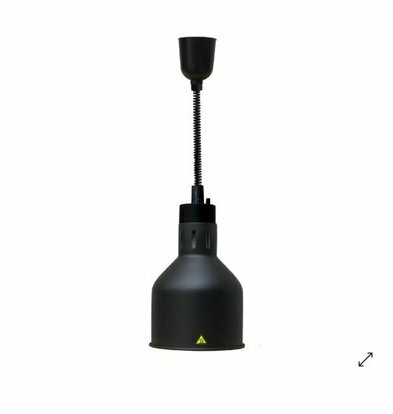 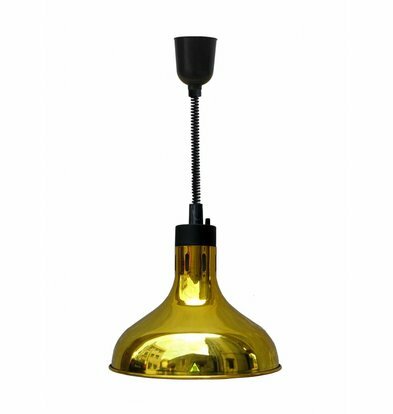 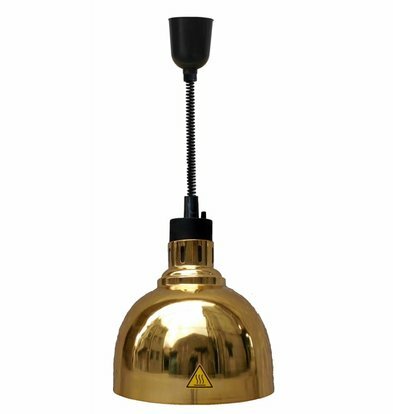 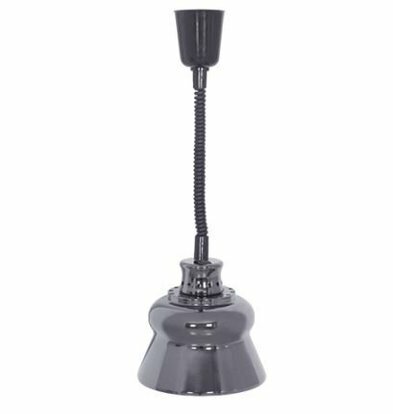 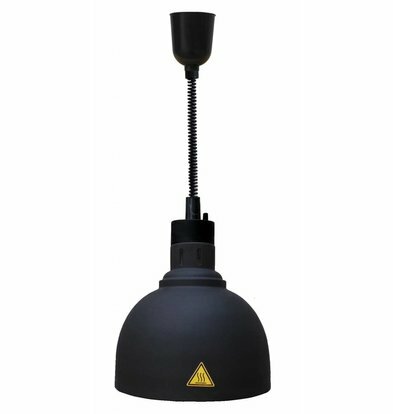 When you order online XXLhoreca various professional standing and warming-hanging lamps of the most renowned brands such as Buffalo and Saro said of Saro is also a version with a firm footing so that the lamp can be easily placed on any stable place. 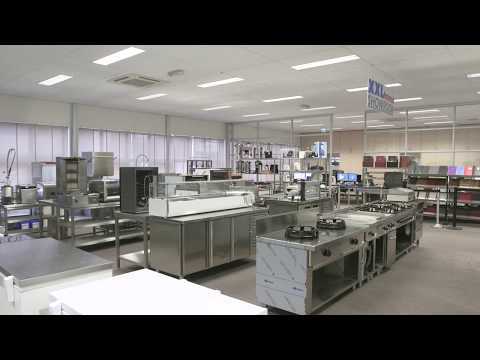 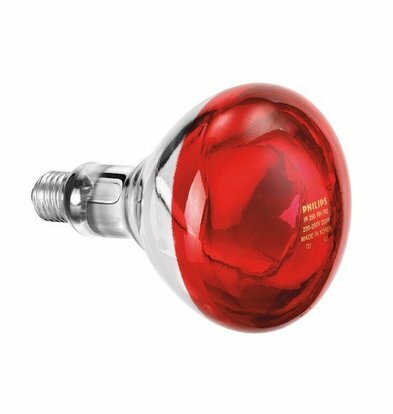 All the hot lights of XXLhoreca come standard with the maximum guarantee within 72 hours and can be delivered throughout the Netherlands.